For the last few years I have started to listen to “voices” that began years ago as sweet, encouraging whispers saying, “pick up a paintbrush and make something!” Lately, these voices have transitioned from whispers into shouts with the occasional clobber on the back of the head. I can’t ignore these voices anymore. My head is starting to hurt. I am a professional portrait photographer, author, photo educator who has been working in the photography field for over 13 years. I can’t imagine my life without photography. I love creating imagery and I love teaching others about it. And…over the last few years I have felt like there has been something missing. I needed to start working with my hands again to create. I want to embrace the idea of living creatively and as an artist–whatever that looks like for me. 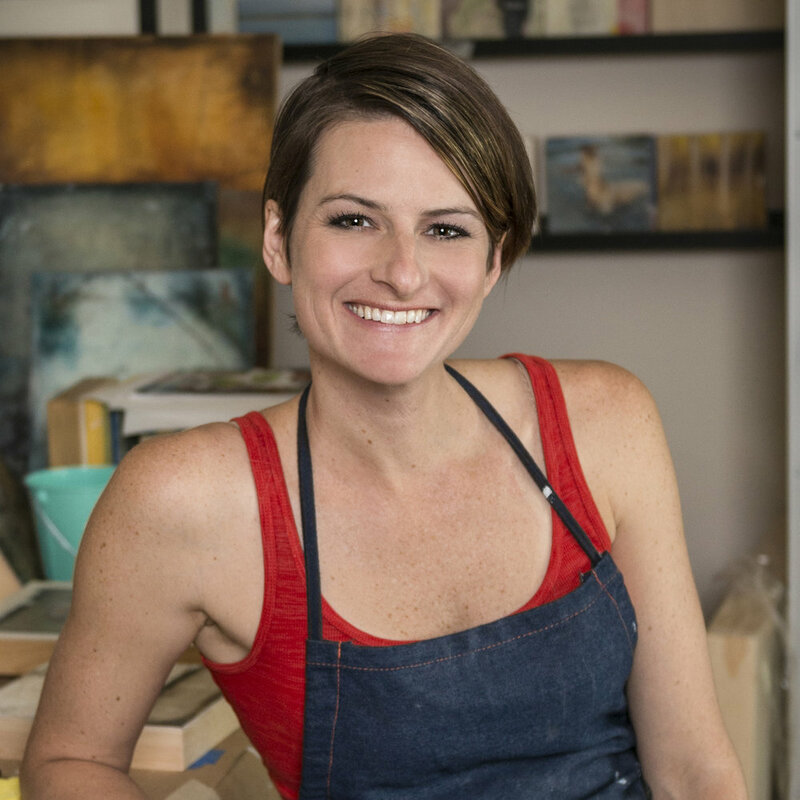 I started making art a priority by creating and spending time in my small home-based art studio a few years ago with encaustic painting and photography. I have participated in workshops and classes and continue to be inspired by fellow artists. I have had some incredible encouraging feedback to my artwork which has been accepted into juried exhibits and even sold in stores and online. I will make this work regardless of my response, but I’d be lying if I said it weren’t rewarding to have positive feedback. Making the decision to dedicate time, energy, taking risk in creating and sharing art may not seem like a big deal, but I’ve discovered that for me, it’s totally a big deal. I am embarking on a creative journey different than what I have pursued for many years, one that I’ve decided to write about as I experience it. I’m scared…and excited. I keep fighting with myself about the validity of participating in this practice. I have lots of questions, lots of fears and issues to work though. My hope is that one or two of you could travel on this journey with me. Maybe we can learn together? The most important thing about taking the time to write this journal is that it is honest and that I allow myself to be vulnerable. My writings will share my fears and failures as well as triumphs, big or small. This space will not be another thing on my “to do” list but actually play a supportive role in my creative process and hopefully yours as well. I will be sharing, at minimum, twice a month. I guarantee that my grammar will not be perfect and my writing will be less than stellar, but I will show up for it. Right now I am curious, so curious, about where this path will take us. What do your “voices” say to you?